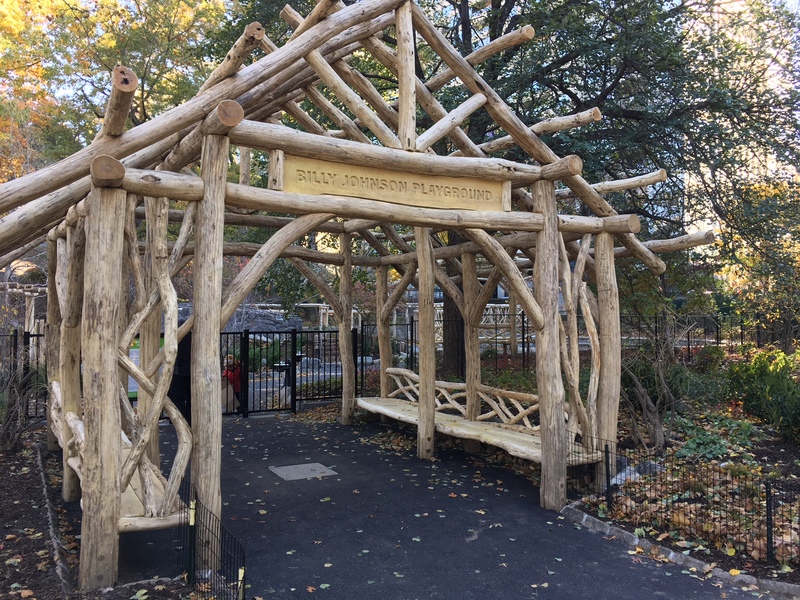 The Central Park Conservancy has re-opened Billy Johnson Playground after a reconstruction that reinvigorates and expands upon the playground’s original design by pioneering landscape architect M. Paul Friedberg. The project was designed in consultation with families who use the playground and with Friedberg. The renovation recreates aspects of the original design that had been lost over time, adds new play elements, and addresses current safety and accessibility standards. 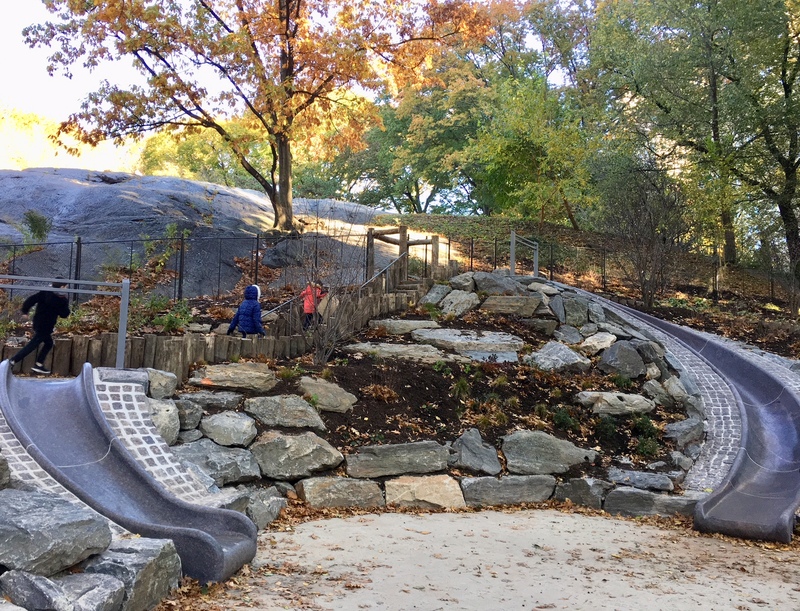 Located near the East 67th Street entrance to Central Park, Billy Johnson Playground is especially popular for its 45-foot granite slide, which is nestled into a rocky hill. It was the first playground reconstructed by the Central Park Conservancy, shortly after the nonprofit was founded. In 1981, the Conservancy invited design proposals for a rustic playground inspired by the landscape of Central Park. 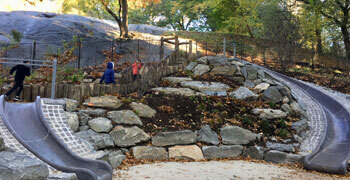 Friedberg’s distinctive design features natural materials like plants, stone, and wood at a child’s scale — including the granite slide, an amphitheater, and a miniature stone bridge reminiscent of the iconic Gapstow Bridge at the Pond. Rustic trails meander through raised plantings, bringing the play experience into the landscape and creating a series of outdoor rooms conducive to imaginative play. As the organization responsible for all aspects of Central Park’s stewardship, from day-to-day maintenance and operations to continued restoration and rebuilding projects, the Central Park Conservancy manages the Park’s 21 playgrounds, which receive more than three million annual visitors. 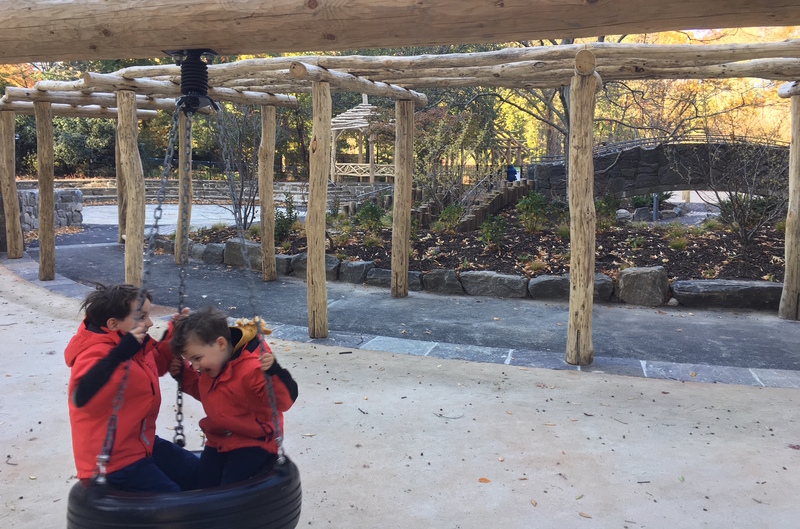 For more than 30 years, the Conservancy has renovated and reconstructed the Park’s playgrounds one by one, applying the same comprehensive approach that has transformed and sustained Central Park as a whole. Friedberg is known for creating custom, site-specific play environments that encourage exploration and imaginative play. He created New York City’s first adventure-style playground in 1965: a play area for the Jacob Riis Houses, a public housing complex on the Lower East Side. 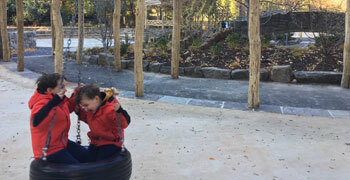 In the spring the Conservancy will host a dedication ceremony to celebrate the completion of the playground. 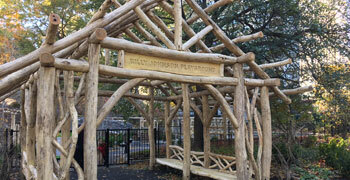 Both the 1985 and 2018 constructions of Billy Johnson Playground were made possible by the Robert Wood Johnson family. This project was generously supported by private donors as part of Forever Green, the Central Park Conservancy’s $300 million campaign launched in 2016 to restore and preserve the historic vision for Central Park. The Central Park Conservancy is a private, not-for-profit organization that manages Central Park and is responsible for raising the Park's annual operating budget. The Conservancy’s staff of more than 300 is responsible for all aspects of the Park’s stewardship, from day-to-day maintenance and operations to continued restoration and rebuilding projects. Additionally, the Conservancy operates the Park’s visitor centers, provides public programs, and serves as a resource for other NYC parks and for public-private partnerships around the world.